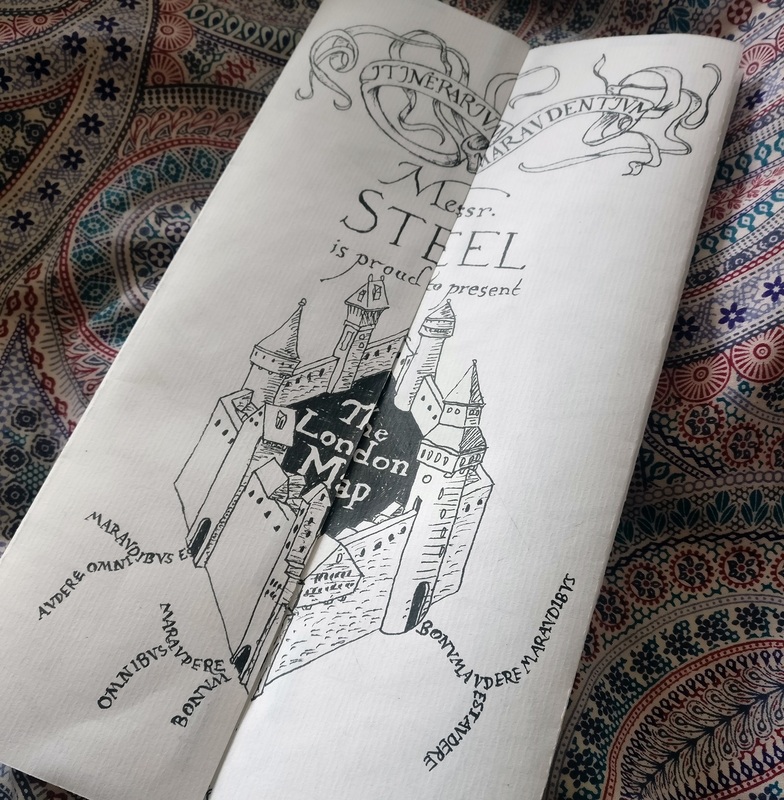 I’ve always enjoyed making presents rather than buying them, so – when it came to making a present for a certain lover of Harry Potter – I thought it was time to take a crack at something I’d always wanted to do – a marauders map, but of an actual place. 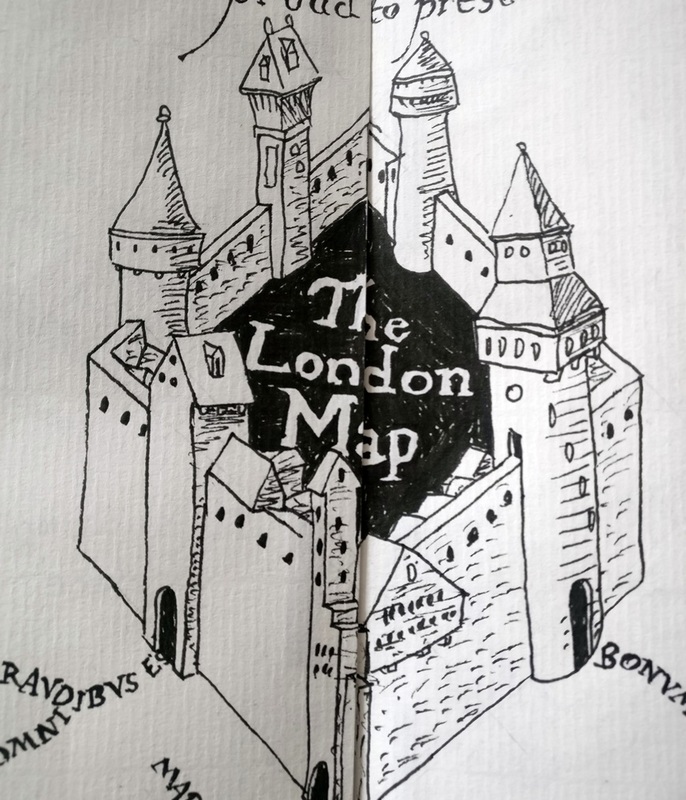 Therefore, kind reader, here is a little piece of work that I called The London Map. 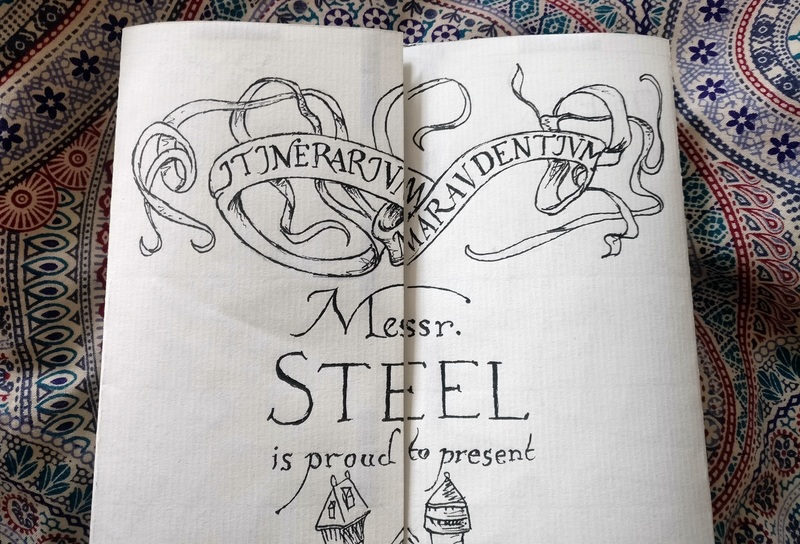 The outside of the map was very much based on the marauders map, with only a little wording changed here and there. If I’d had more time I’d have made the towers here reference my little history of London’s gates. 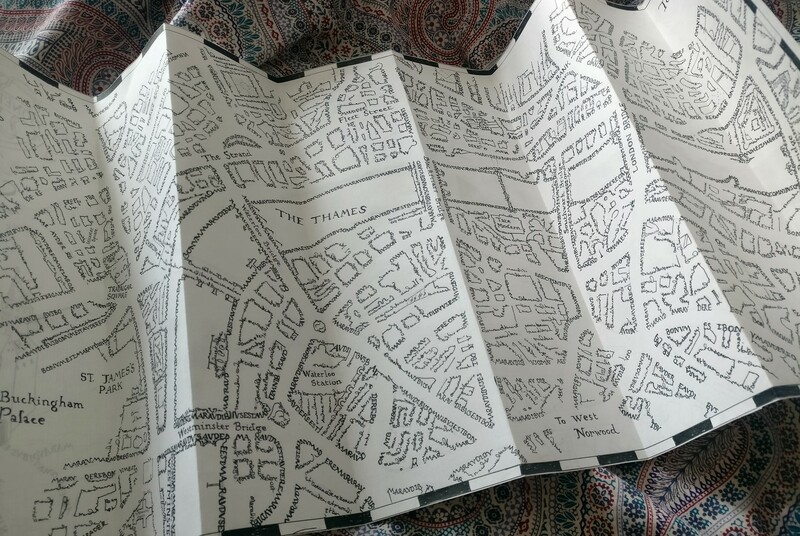 So the outside was simple enough – I had a pretty good template from the actual map – but producing London as per the hands of Mooney, Wormtail, Padfoot, and Prongs was a much more interesting prospect. 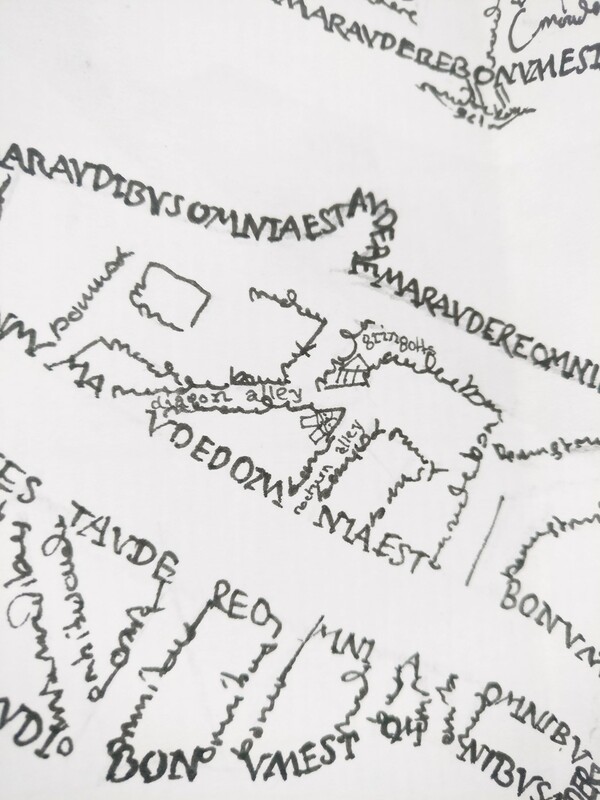 Opening the map reveals a complex array of lines of text in different scripts and sizes running across the paper. 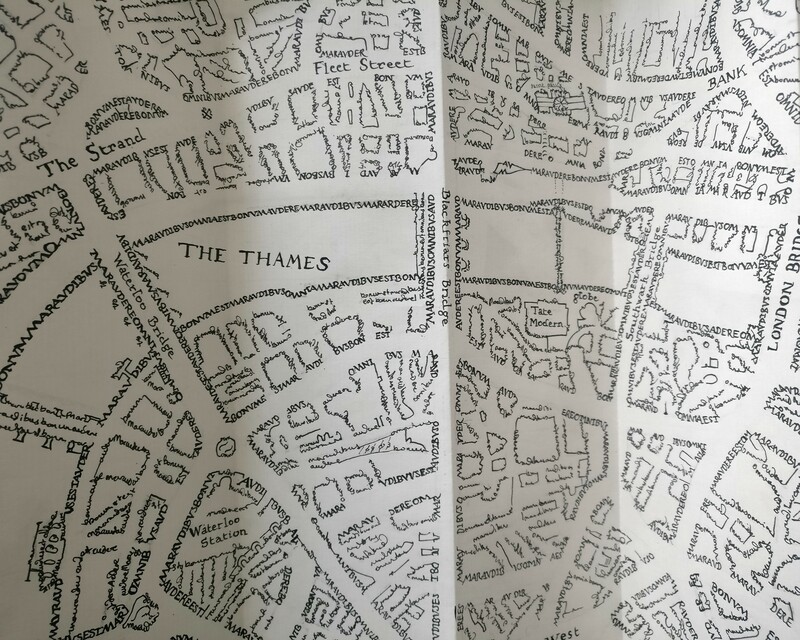 Once expanded the map is almost a meter across, stretching from St James’s Park in the West to the Tower of London in the East. 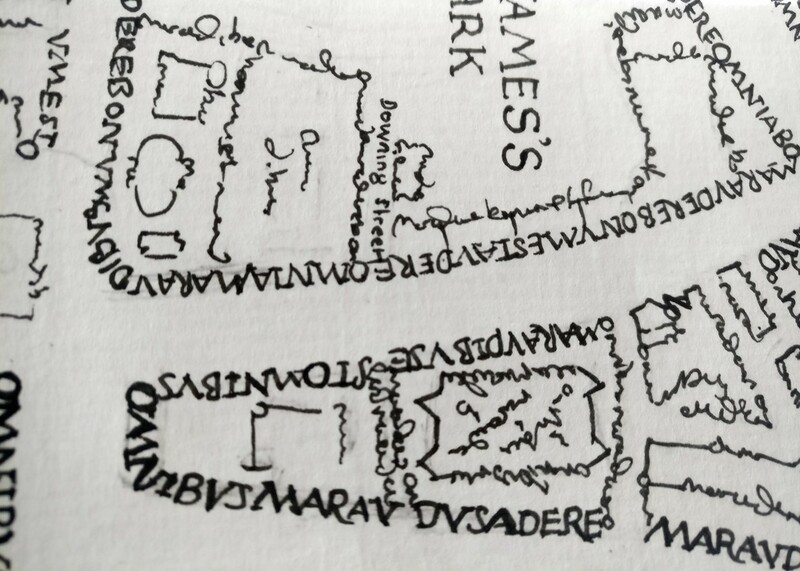 A few landmarks appear with smaller names, hidden among the scribbled streets. In other places some more unexpected landmarks appear. 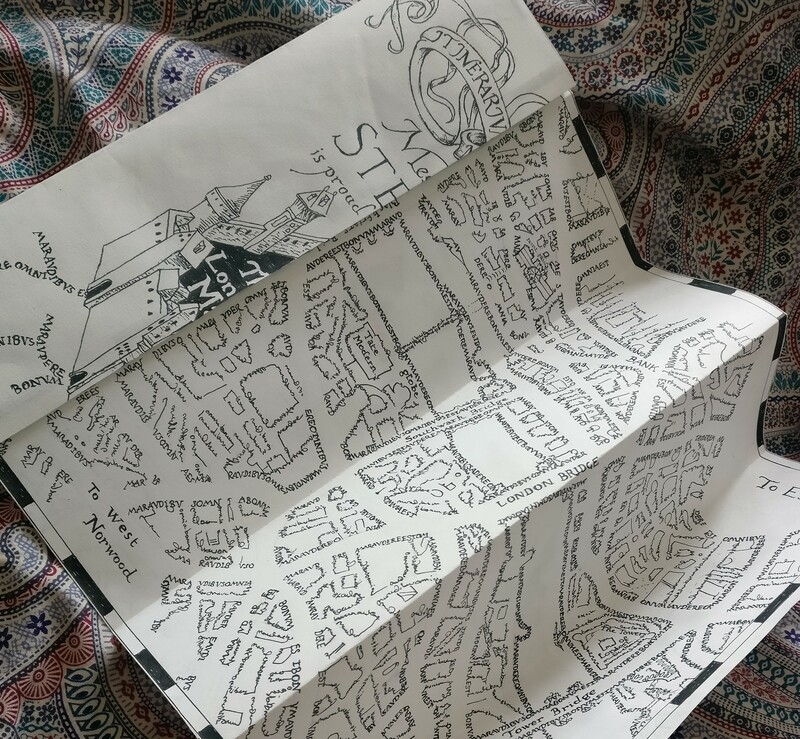 Ultimately, what a great fun project – next up… Aberystwyth?